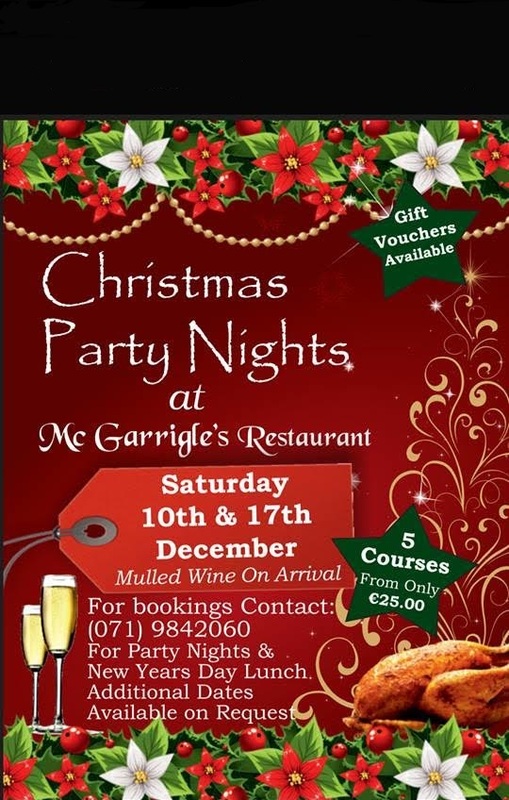 McGarrigles Restaurant caters for all occasions from bus tours, private parties, christenings, Sunday lunch etc. The restaurant opens at 10.00am serving Sean’s famous full Irish Breakfast “a great kick start to the day. The lunch menu offers dishes that include gourmet sandwiches, salads, wraps, freshly cooked roasts of the day and seafood followed by a wide range of delicious homemade desserts. 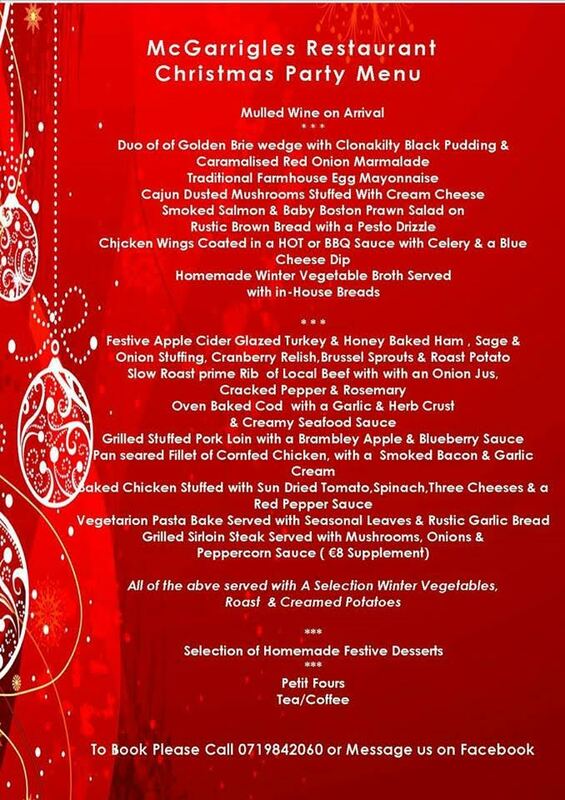 The evening menu starts with a earlybird from 5-7.00 pm priced at €20.00 for a four course meal. The al-la-carte menu has a wide range of meat dishes , seafood and vegetarian options. All the meat is locally sourced.